Cake for breakfast just isn't healthy - right? Wrong. The thing is, you need to be eating the right type of cake - and these breakfast bakes definitely pass the healthy test. After a while of having no breakfast bakes, I've had the time to make some more - and a new recipe! 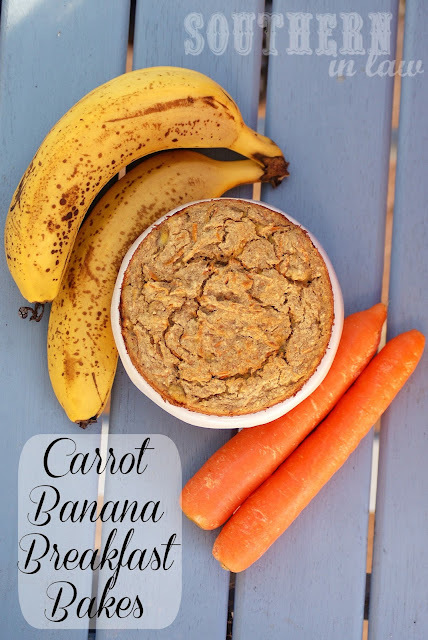 These Carrot Banana Bakes are deeeeeelicious and you're getting some vegetable goodness in your breakfast without realising it. If you're anything like me, you can't stomach the idea of vegetables or savoury foods for breakfast - so this is the perfect way to add a little bit of vegetables without knowing. I make my breakfast bake recipes in multiplied batches, freeze them and then defrost them in the fridge overnight or in the microwave when I want to eat them. 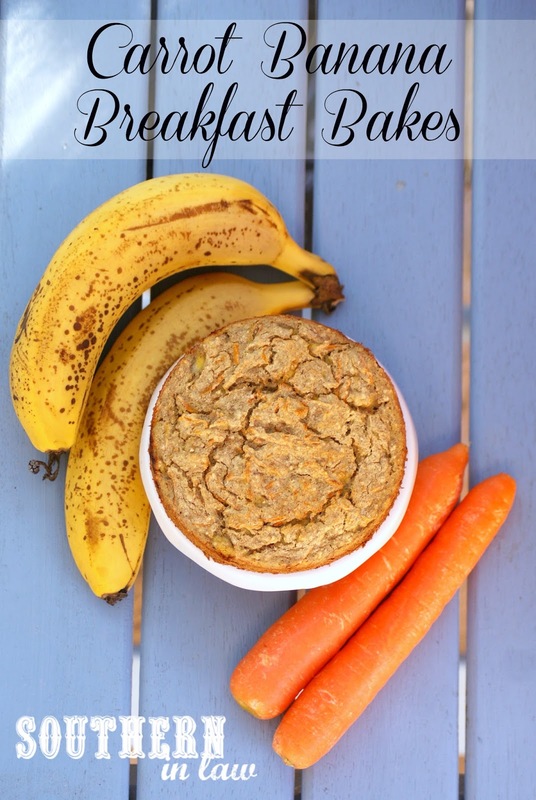 They're the quickest, easiest breakfast because you can eat them on the run or just throw one onto a plate and gobble it up. I like to top my breakfast bakes with nut butter or crumble them into yogurt or cottage cheese with some nuts - but you can eat them however you fancy! I've yet to convert Jesse to the breakfast bake side of life (he's a savoury breakfast fan) but lately, he's been eyeing off my breakfasts, trying to see if I'll offer him some (ha! as if!) so I know that soon he'll be asking for one too - SIL Dad has just recently requested some for himself for busy work mornings! Optional: nuts, spices, honey/maple syrup/sugar if you like things sweet** etc. Prepare 5 single serve ramekins, baking dishes, springform tins (here's how to line a springform tin), a small cake/loaf tin or 10 muffin cups. Combine your carrot, banana, egg whites (or substitute) and vanilla. Mix your flour, oatmeal and baking powder into the wet ingredients, stirring until just combined. Pour your mixture into your muffin tins, ramekins or baking dishes. Depending on which way you decide to bake them, bake for 15-45 minutes or until cooked through and a skewer inserted removes clean. Single serve ramekins/baking dishes will take about 30 minutes. *If you can't eat oatmeal, try using quinoa flakes! **I don't like things sweet for breakfast, so I leave the sweetener out - but if you prefer, add it to your tastes. Lately I've been alternating between these and my Banana Souffle Breakfast Bakes topped with a mix of peanut butter and solid coconut oil which is just like fluffy frosting! Yum!